Become Ruler of the World by establishing and leading a civilization from the dawn of man into the space age. Become Ruler of the World by establishing and leading a civilization from the dawn of man into the space age: Wage war, conduct diplomacy, discover new technologies, go head-to-head with some of history’s greatest leaders and build the most powerful empire the world has ever known. 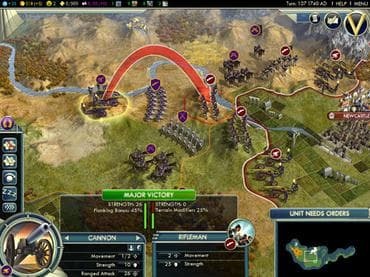 In Civilization V, the player leads a civilization from prehistoric times into the future on a procedurally generated map, achieving one of a number of different victory conditions through research, exploration, diplomacy, expansion, economic development, government and military conquest. Если у Вас есть вопросы, связанные с игрой Civilization V пожалуйста используйте эту форму для связи с нами.